AMAZING!! 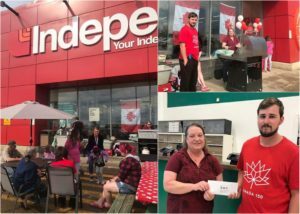 Thank you so much to Kevin’s Your Independent Grocer – High Level for choosing to donate proceeds in the amount of $208.85 from their BBQ to the Northern Lights Regional Humane Society. And thank you to everyone who attended the event. Your continued support means so much! Amazing!! What an awesome event held by Rachel Oliver and her art students. The students themselves came up with the idea to have an art show and donate the proceeds to the NLRHS shelter. You should all be very proud of yourselves!! Not only are you all extremely talented, but your donation of $1500 will help many animals have a better life. Thank you so much for thinking of the animals. THANK YOU!! For the last several years the Mackenzie Crossroads Museum & Visitor Centre has asked the Northern Lights Regional Humane Society to partner with them for “Photos with Santa” during the Christmas Open House. 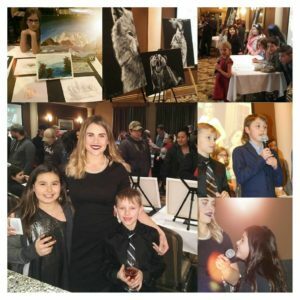 This year the Photos With Santa event held on December 3, 2017 raised $2532.00 making it the most successful year! We thank each and every person for coming out to get there photos taken and also a HUGE thank you to the Mackenzie Crossroads Museum their their ongoing support! 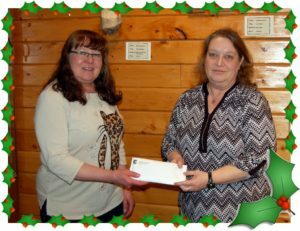 Pictured is Darlene Anderson of Mackenzie Crossroads Museum & Visitors Center presenting Rosa Jongsma, President of the NLRHS with a donation of $2532.00. 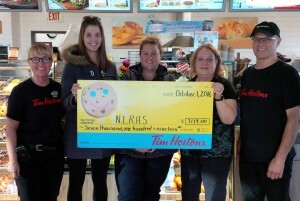 THANK YOU, THANK YOU…to Tim Horton’s High Level for allowing the NLRHS to be a part of the Smile Cookie Campaign once again! THANK YOU Northern Alberta and Tim Horton’s High Level you are absolutely AMAZING!!!! Your smiles have brightened our year with this year’s #SmileCookie campaign, raising over $7000 to support the Northern Lights Regional Humane Society!! Thank you!! With the Manning area raising approx 25% of the total, the Northern Lights Regional Humane Society will also be “Paying It Forward” and donating $1500 to Manning Strays/Adoptables which will be used to purchase a microchip reader and establish an identification program. Pictured is Leslie and Paul Snyder of High Level Tim Hortons presenting a cheque in the amount of $7119.00 to Katie Sheers, Nikki Coles and Rosa Jongsma of the Northern Lights Regional Humane Society. NLRHS would like to thank ATCO Electric for their recent donation of $260.00 which was raised by ATCO Electric and its employees and retirees during their annial ATCO Employees Participating in Communities (EPIC) Campaign. Each year, each ATCO company holds their own charitable-giving campaign to support numerous charitable organizations across Canada. ATCO’s EPIC’s Charitable-giving campaign allows their employees to pledge to the charities that are important to them. ATCO then matches the employee and retiree donations with a financial corporate contribution to Canadian human health and wellness charities. 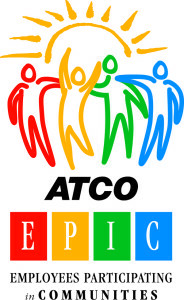 Collectively, ATCO, its employees and retirees pledged $3.6 million to more than 500 charitable organizations throught ATCO EPIC in 2015. A BIG Thank You to the students and staff at Florence MacDougall Community School! 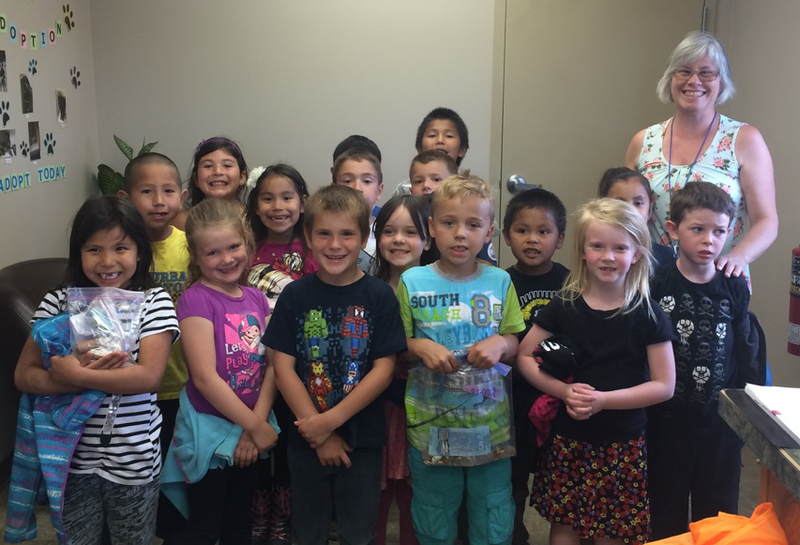 Mrs. Eagles’ grade one class donated $261.05 that was raised by students at Florence MacDougall Community School. The school held a Gum Day where any student who wanted to participate could chew gum for the day, if they donated $1. 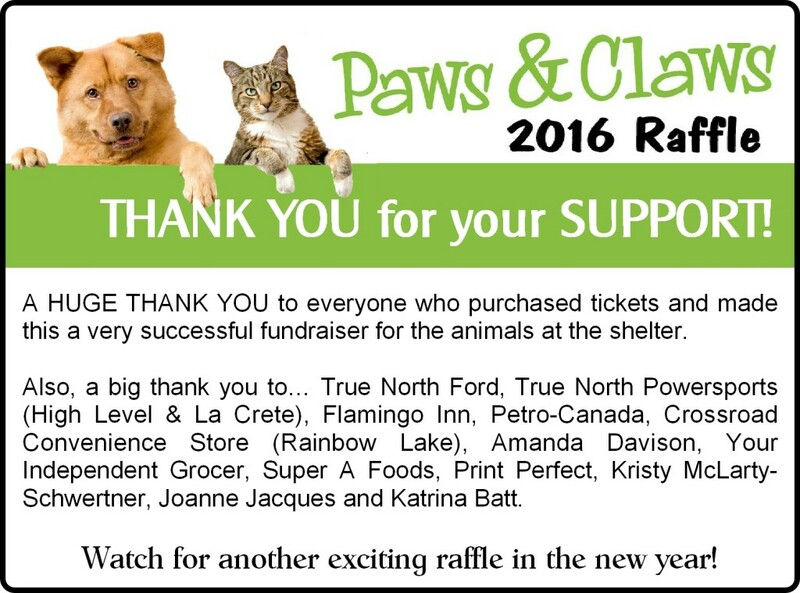 Thank you, Thank you for helping our animals in need!!! 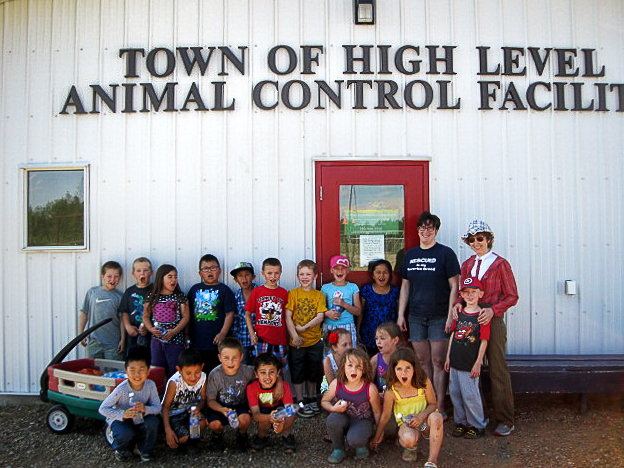 to the Town of High Level for their generous donation of $2,142.00. 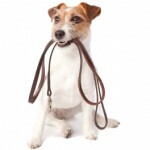 Every year dog owners are required to purchase a Dog License. 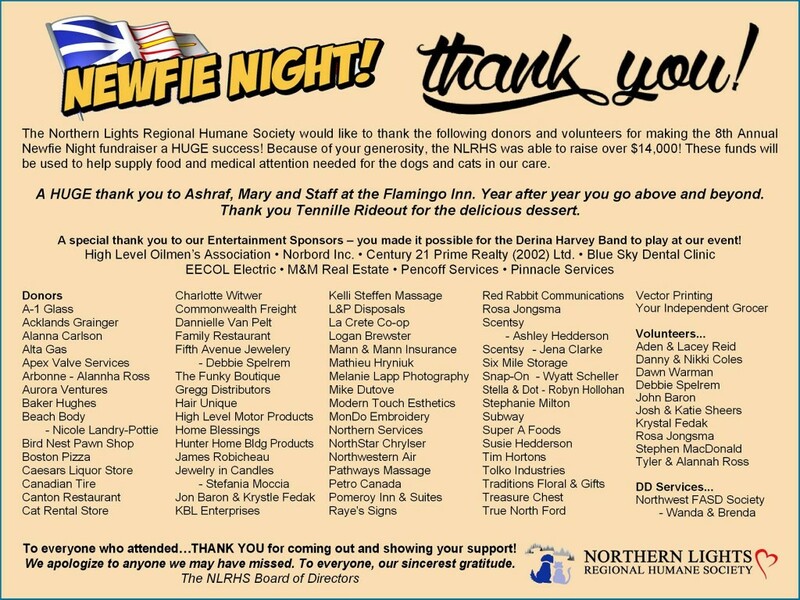 All funds received from dog licenses in 2014 were donated to the Northern Lights Regional Humane Society. 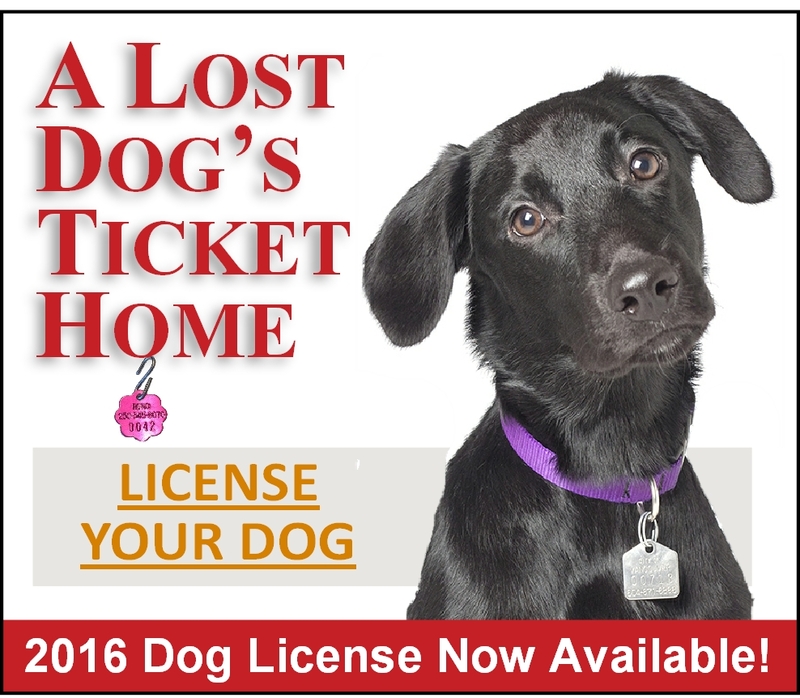 To purchase a 2016 dog license for your pet, please visit the Town of High Level office during business hours. 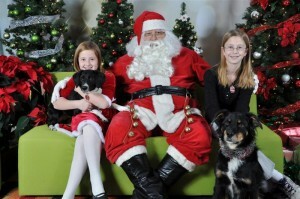 For the last six years they have asked the Northern Lights Regional Humane Society to partner with them for “Photos with Santa” during the Christmas Open House. All proceeds from the Santa photos are given to the NLRHS as a donation. This year the Photos With Santa event held on December 5, 2015 raised $1022.00 making it the most successful year! We thank each and every person for coming out to get there photos taken and also a HUGE thank you to the Mackenzie Crossroads Museum their their ongoing support! THANK YOU, THANK YOU… to Tim Horton’s High Level for allowing the NLRHS to be a part of the Smile Cookie Campaign. Also a HUGE thank you to everyone who showed their support by Paying It Forward and purchasing cookies! We are so thankful for everyone’s support!! Again, THANK YOU! 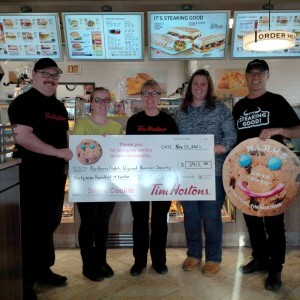 Pictured below is Leslie, Paul and Jared Snyder of High Level Tim Hortons presenting a cheque in the amount of $3920.00 to Lacey Reid and Nikki Coles of the Northern Lights Regional Humane Society. Mrs. Eagles’ grade one class donated $391.00 that was raised by students at Florence MacDougall Community School. The school held a Gum Day where any student who wanted to participate could chew gum for the day, if they donated $1. Money was also raised by selling homemade bracelets. The funds rasied by the students covered to cost of eye surgery for one of the dogs in our care. Thank you!!! We have many people to thank for the fundraiser held at the Town’s 50th Anniversary Downtown Block Party. 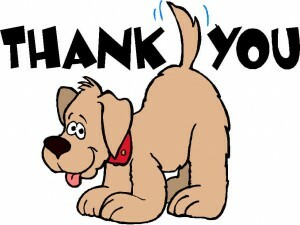 Thank you to Emily, Ashley, Shona, Vanessa, Rosa, Lacey, and Nikki for baking dog treats and cupcakes. 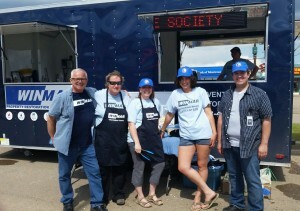 Thank you Northern Services for providing a tent for shelter from the sun and rain. Thank you to our many volunteers that attended Saturdays event to help sell the most delicious Kettlecorn – Maree, Trudy, Michelle, Jaylynn, Alyssa, Ashley, Francine, Lacey and Rosa. 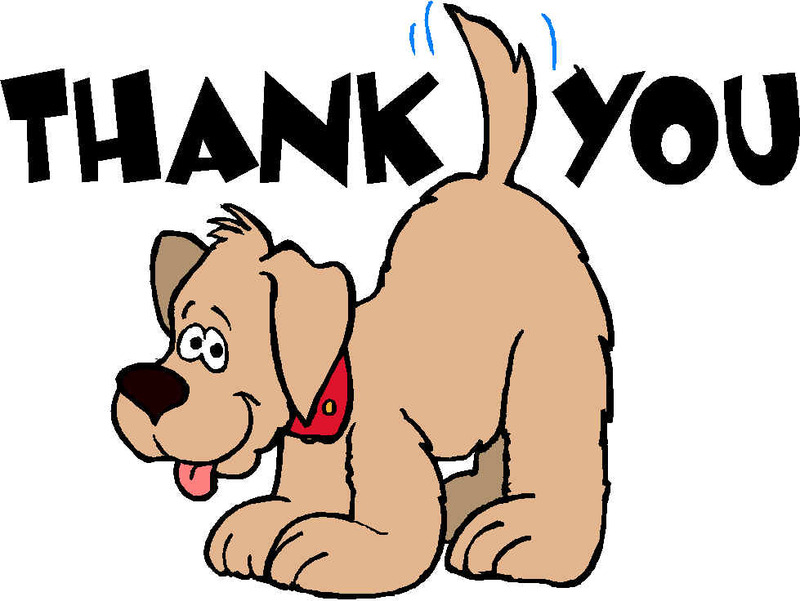 A big thank you to everyone who supported us- you helped the Shelter raise over $1500.00 to put towards vet bills. And last but not least, a HUGE thank you to WINMAR Property Restoration Services for holding the Kettlecorn fundraiser at the Block Party in support of our group. Thank you, thank you, THANK YOU! The Shelter would like to send a HUGE thank you to HIGH LEVEL SOURCE FOR SPORTS for their $1000.00 donation. The High Level Ag Society recently held a contest for local business in conjunction with the rodeo. 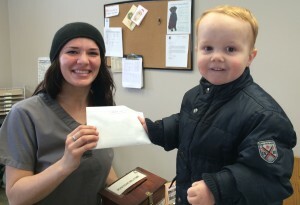 The best decorated business received $1000 to donate to a charity of their choice. Pictured is Russ Powers and John Denney from High Level Source for Sports presenting Rosa Jongsma and Lacey Reid, with their donation. Thank you to the 2015 High Level After Grad! 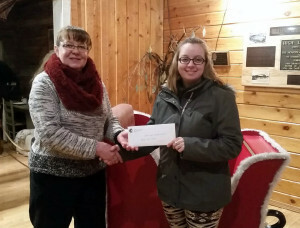 Because of the generous support of businesses in High Level, the High Level After Grad Committee was able to make a generous donation to the Northern Lights Regional Humane Society in the amount of $700.00! Thank you for thinking of the animals! 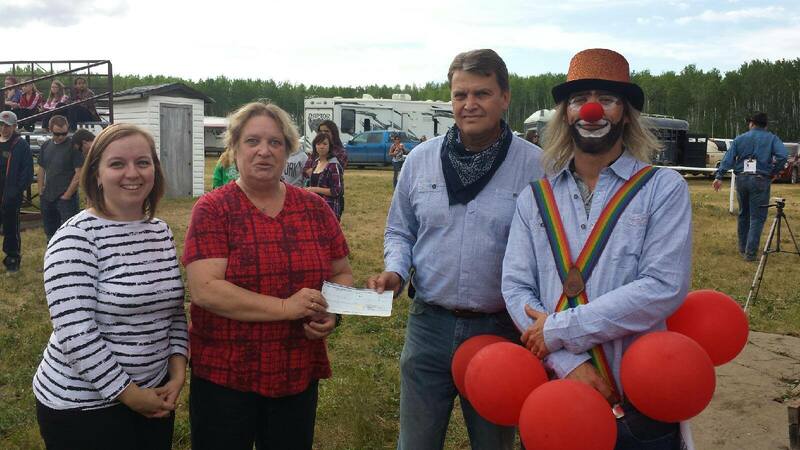 to the Town of High Level for their generous donation of $1,980.00. 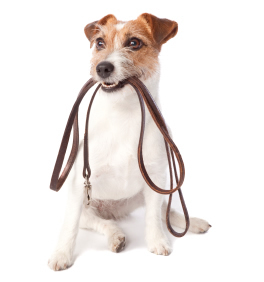 Every year dog owners are required to purchase a Dog License. 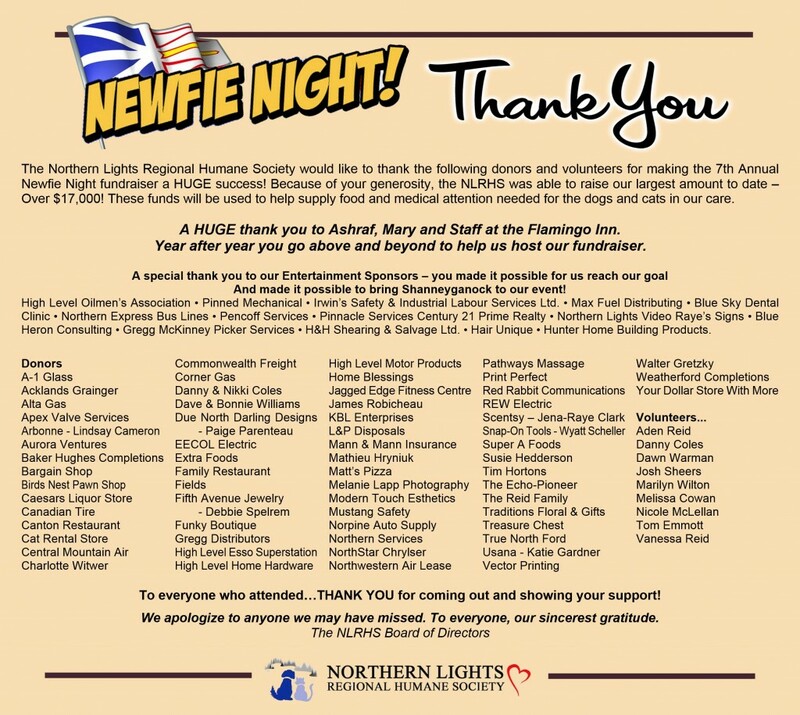 All funds received from dog licenses in 2014 were donated to the Northern Lights Regional Humane Society. To purchase a 2015 dog license for your pet, please visit the Town of High Level office during business hours. Northern Services, Cat Rentals, Century 21 Prime Realty, Rodney Schmidt from the Town of High Level Volunteer Fire Department, Emily Harangozo, Nikki Coles, Dog Show Judges: Sylvia Kennedy, Jena Raye Clarke, Leeza Leishman. 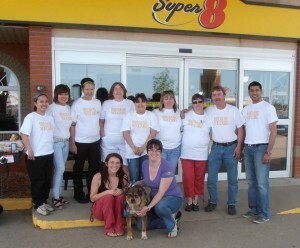 And all the participants who came out with their dogs and made this another successful fundraiser for the NLRHS. With your participation, we raised over $1700.00!! The dogs especially are grateful for your continued support! 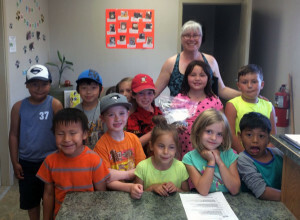 ne class brought $165.00 raised at Florence MacDougall Community School. The school held a Gum Day on June 9, 2014. Any student who wanted to participate could chew gum for the day, if they donated $1. All funds raised went to the High Level Humane Society. We were told the money would help buy food for the animals. Thank you to the 2014 High Level After Grad Committee! Because of the generous support of businesses in High Level, the High Level After Grad Committee was able to make a generous donation to the Northern Lights Regional Humane Society in the amount of $500.00! to High level Super 8 Motel for hosting a fundraiser BBQ on Friday, June 13th and to everyone who came out to support the NLRHS. 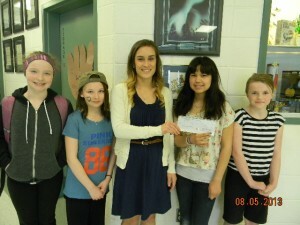 $189.00 was raised & donated to the Northern Lights Regional Humane Society to help our animals. THANK YOU!! Aaron Milton raised $255.00 in lieu of his birthday presents and donated the money to the NLRHS!! Happy Birthday Aaron!! Stuffed puppies were available for his friends to “adopt” during the party. The animals, staff and volunteers thank you so much for your generosity and thinking of the animals!! Pictured is Aaron Milton presenting Niki Tilley, Shelter Attendant with $255.00! For the last four years they have asked Northern Lights Regional Humane Society to partner with them for “Photos with Santa” during the Christmas Open House. All proceeds from the Santa photos are given to the NLRHS as a donation. This year the Photos With Santa event held on December 3, 2013 raised over $1100.00 making it the most successful year! We thank each and every person for coming out to get there photos taken and for supporting the NLRHS! to the Town of High Level for their generous donation of $2,481.00. Every year dog owners are required to purchase a Dog License. All funds received from dog licenses in 2013 were donated to the Northern Lights Reginoal Humane Society. 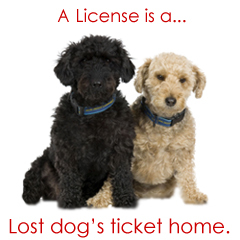 To purchase a 2014 dog license for your pet, please visit the Town of High Level office during business hours. The Northern Lights Regional Humane Society would like to extend a thank you to the Government of Alberta Community Spirit Program for their support. 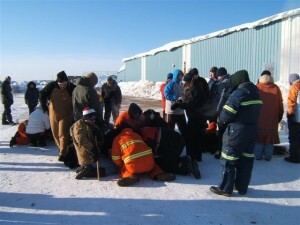 The continued success of the shelter is dependent on generous donations. 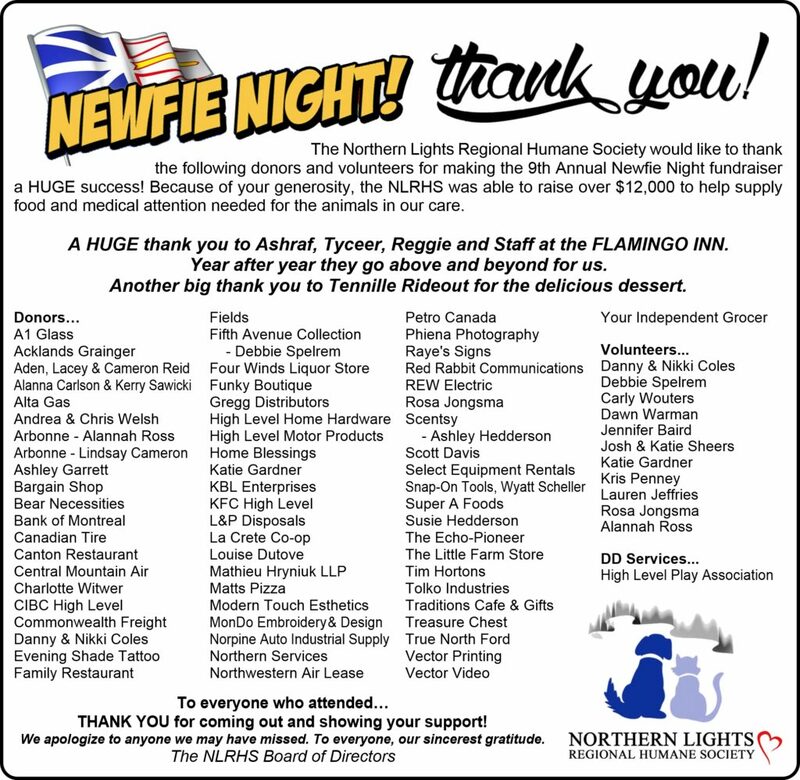 Along with the help of other supporters, the NLRHS continues to grow and has achieved some impressive milestones in the 2013 calendar year, not the least of which has been the addition of a cat room providing refuge to felines in need. ATCO Electric, Century 21 Prime Realty, Flamingo Inn, Rodney Schmidt from the Town of High Level Volunteer Fire Department, Super 8 Motel, Corner Gas, Emily Harangozo, Dog Show Judges: Sylvia Kennedy, Bylaw Officers Alex & Mike. And all the participants who came out with their dogs and made this another successful fundraiser for the NLRHS. With your participation, we raised over $2600.00!! During a recent tour of the Shelter, the students made a donation of $244.25. 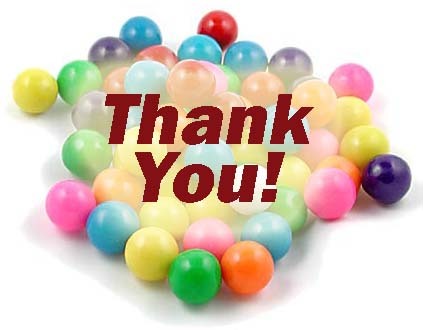 Students raised money by having a gum day – each piece of gum chewed was a $1.00 donation to the NLRHS. NLRHS would like to say a BIG thank you to Spirit of the North Community School students for their recent donation of $50.00. 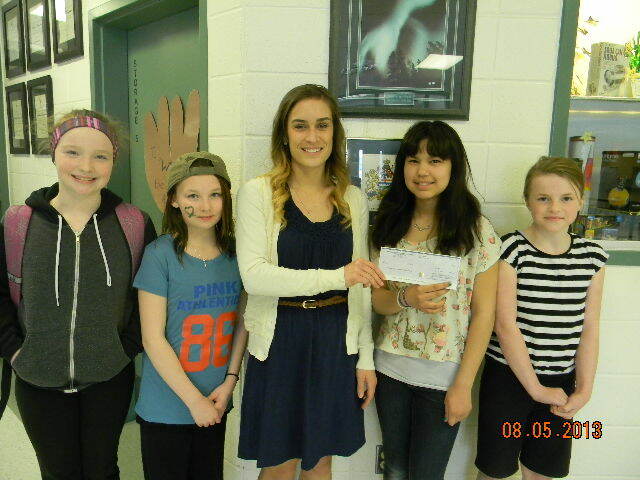 Pictured are Madison Foley, Laurel Davies, Kira Auger and Nikita McKinney presenting Lindsay Cameron, Director of NLRHS with a cheque. Your donation means so much to us – but even more to the animals. Thank you! 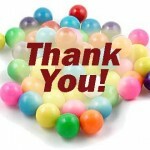 Thank you to all the Winterfest participants who collected change during the Scavenger Hunt event. All your changed added up to over $500!!! The Northern Lights Regional Humane Society is truly grateful for the donation. Thank you! A big thank you to Boston Pizza High Level staff who raised over $1,100 during their “rehersal opening” held on Friday, October 5 and Saturday, October 6, 2012. NLRHS was thrilled to hear the staff chose our Society to donate the funds to. The donation will go towards food and medical attention for our residents. 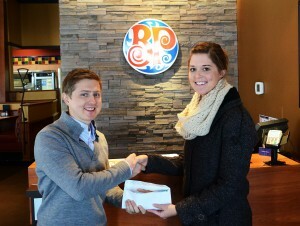 Pictured is Katie Dutove, NLRHS Secretary accepting the donation from Dan Ardnt, Owner of Boston Pizza High Level. – Photo courtesy of The Echo.